Online Travel Agencies (OTAs) have become huge players in the travel industry. 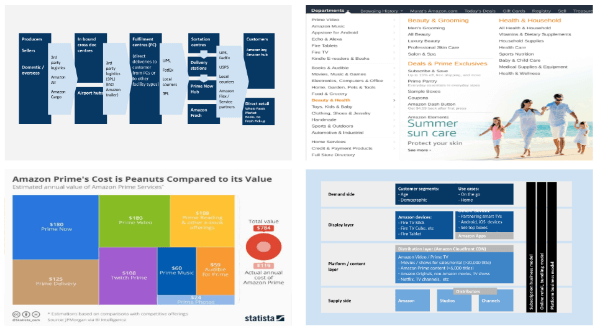 In fact, Booking.com's parent company, Priceline Group), is the biggest travel company by market capitalisation far exceeding the most envied hotel chains (Marriott, Hilton) as well as airlines (American Airlines, Delta, Southwest). 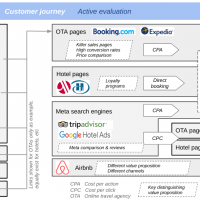 This shows the strength of the platform business model which the OTAs are. They are what I call demand aggregating platform businesses. Check out my articles to learn from them and successfully apply the ideas on other industries. 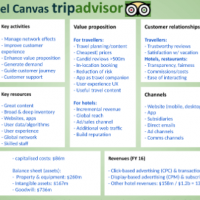 TripAdvisor has given travellers a voice and a channel to exchange experiences. It has shown how to enter an old-established industry mainly based on user-generated content and from there grow into adjacent areas. 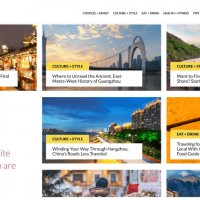 Reading this article, you will understand the differences to Booking.com and Expedia and be able to use ideas from these vastly successful platform businesses for your own innovation ideas. 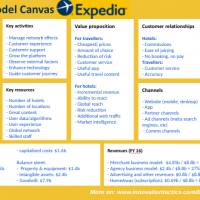 In 1996, Microsoft founded what later became Expedia and spun it off in 1999. It shows that even Bill Gates couldn’t imagine that Expedia would become a $22b market cap giant in less than 20 years. And it demonstrates the power of the platform business model. Once you have a winning concept, you can scale it up massively in short amount of time. If someone asked you “which company is the biggest one in the travel industry?” what would you answer? Maybe American Airlines? Or the Hilton hotel chain? They are some of the biggest players in this industry. Yet, Booking.com’s parent Priceline surpassed both combined by market cap, easily. 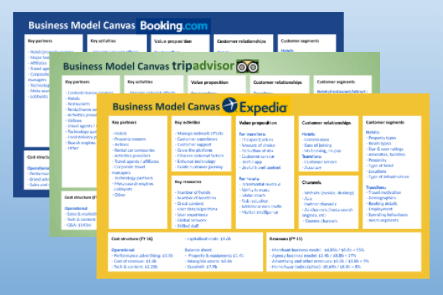 Learn how about Booking.com’s business model in-depth in the most popular strategy tool, the Business Model Canvas. 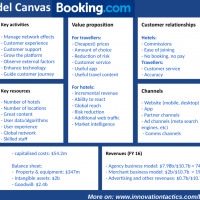 It will help you understand the platform business model which underpins Booking’s success. It will help you sharpen your innovation knowledge. Did you know that a typical customer may have several hundreds of digital touch points (or what Google calls micro moments) before they book a hotel and other elements of their trip? 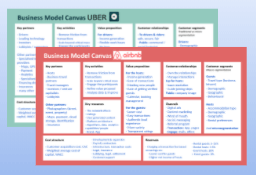 How does this customer journey look like? 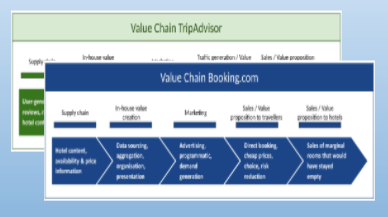 And how are the big travel platform businesses (Booking.com, Expedia, TripAdvisor, Google, Airbnb) accompanying the customer’s journey? 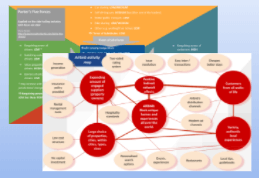 What can you learn about the trends and opportunities? These are the questions we are going to look at today. 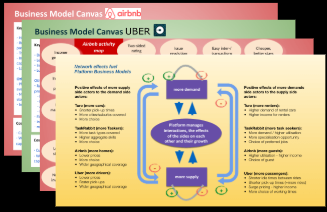 (3) the monetisation models they apply.